Did Bhaktisiddhanta use a Tropical Zodiac? In a previous article I addressed in some detail one such “astrologer.” In this article I want to address even more far-fetched and silly notions by one member of this gaggle of astrologers. 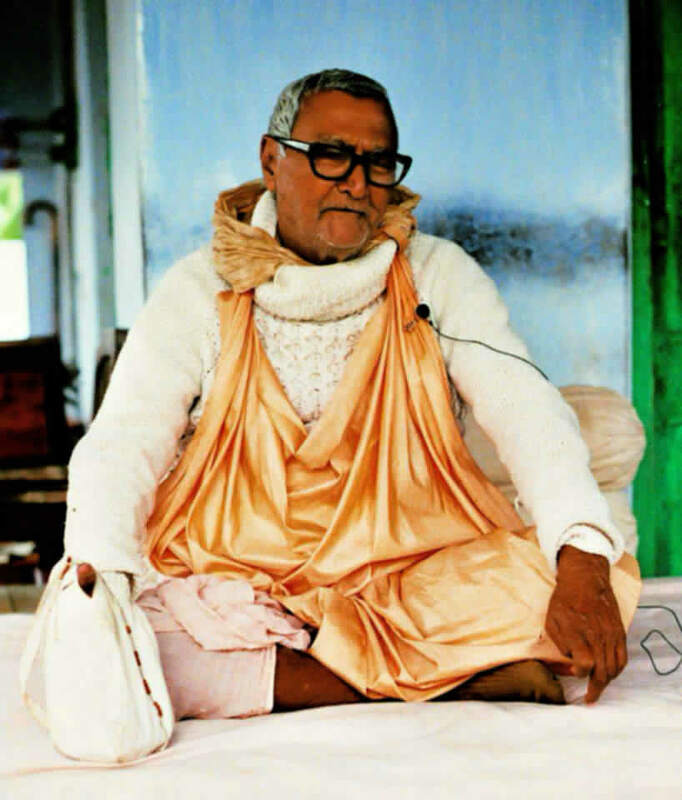 This person was formerly2 a member of the Brahma Madhva Gaudiya Sampradaya, and was a grand disciple of AC Bhaktivedanta Swami Prabhupada and thus a great-grand disciple of 108 Srila Bhaktisiddhanta Sarasvati Thakura. 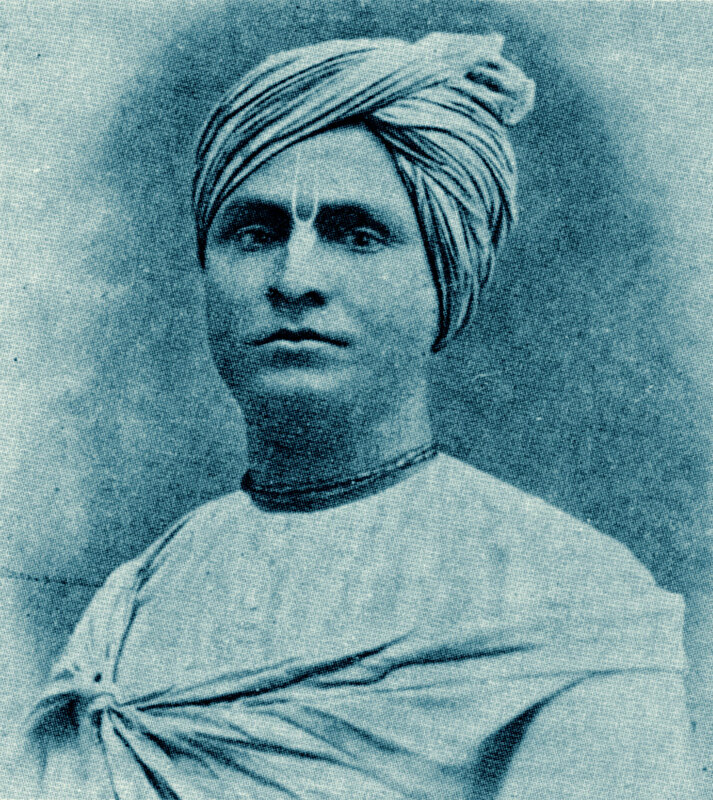 The link to Bhaktisiddhanta is important because in his purva asrama Bhaktisiddhanta was a childhood prodigy in many subjects including astronomy and published a Bengali translation of Suryasiddhanta and Siddhanta Siromani (now available as an English translation) while only about 16 years of age. He had also started several journals on jyotish and published many texts related to astronomy and had started a school to teach astronomy. As a celebrated young scholar he was offered the chair of astronomy at Calcutta university. He declined the offer as he wished to remain a brahmacary (celibate) and if he landed such a position he would be seen as a very eligible bachelor. The point being that Bhaktisiddhanta is an icon in the Gaudiya Sampradaya who was also an iconic astronomer before he became a lifelong renunciate. So if it could be shown that Bhaktisiddhanta actually used the Tropical zodiac for casting charts then the purvapaksha3 would have established his position as authoritative. With that very brief introduction into the significance of Bhaktisiddhanta we now move to the claims of the purvapaksha. Here the purvapaksha tells us in an article that after some trouble he obtained the horoscope of BR Sridhara Maharaja based on data of October 12th, 1895, at 23:38 in Navadvip, India. However, according to Swami Narasingha, Sridhar Swami was actually born in Hapania Village, West Bengal, about 20 Km from Navadwip. The result is almost identical, so for consistency I will use the same birth data as the purvapaksha. What do we conclude? Either we have to dismiss the account in Bhaktisiddhanta Vaibhava or else… or else it seems to me that we have to conclude Bhaktisiddhanta read the tropical chart, not the sidereal one. That also means that Sridhar Maharaja had a tropical chart in his notebook, not a sidereal one. Unless Bhaktisiddhanta corrected it to tropical coordinates in his head before interpreting it, which is not at all unlikely for the genius. In fact it does objectively seem likely (because of the tithis and the literal statement that, “my sign is the same as Lord Ramchandra”) that Sridhar Swami thought of his chart as sidereal, but Bhaktisiddhanta interpreted it from a tropical perspective. This is earth-shattering evidence that Bhaktisiddhanta Sarasvati used the tropical zodiac. When I was first sent this text many obvious proofs of refutation went through my mind. The incident is 3rd hand and not correctly recorded. The purvapaksha assumes that whoever calculated the chart used the Rasi=Bhava system (whole sign system). Because if it were calculated using either the Vedic equal house system or Sripati system then Rahu would move to the 9th in the sidereal chart. We do not know what house system was used so can not make an assumption one way or the other. We just do not know. Sridhara Maharaja states that he was born under the same sign as Lord Rama but in the Tropical chart the Moon is not in the same sign as Lord Rama only the lagna, whereas in the Sidereal chart both Lagna and Moon are in Karkata which isthe same as Lord Rama. But more importantly Bhaktisiddhanta did not actually calculate the chart. He picked up an already calculated chart. So it is intellectually dishonest5 to say that Bhaktisiddhanta calculated the chart according to tropical system when in reality he didn’t calculate the chart at all. The question must be asked what kind of person uses such lexical sleight of hand to win an argument? What kind of person claims that Bhaktisiddhanta calculated a chart when in actuality he did not? There were several other ideas that came to me that I can’t remember now. However the counter arguments mentioned above don’t really touch on what system Bhaktisiddhanta actually used they only show that there are other, more plausible, explanations that do not do violence to the tradition. So rather than deal with a 3rd hand anecdote that has been tortured into submission I thought that it would be better to get direct examples of charts that Bhaktisiddhanta actually published. This would be authentic and compelling evidence that would provide irrefutable proof as to whether he used the sayana(tropical) or nirayana (sidereal) system for calculating horoscopes. 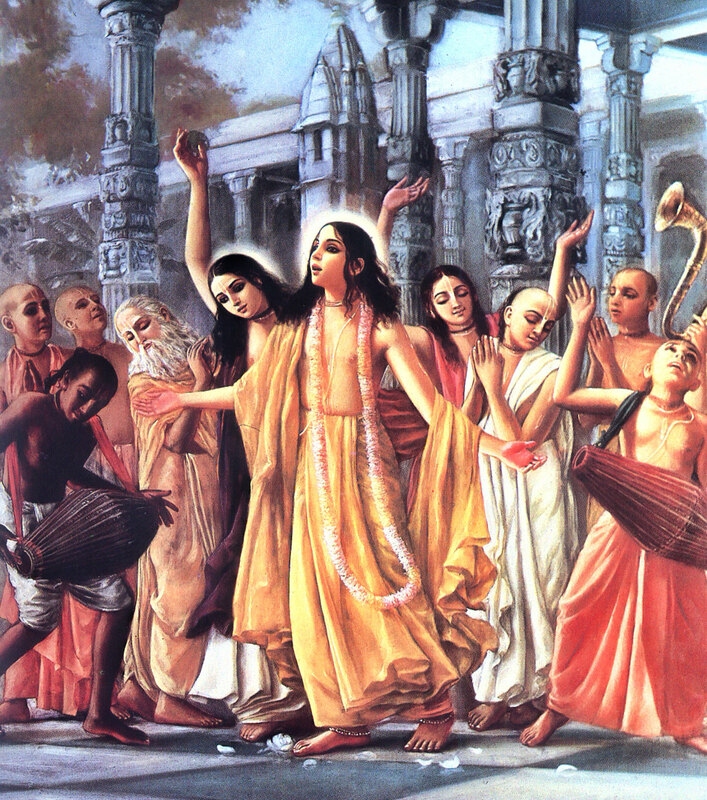 Sri Krsna Caitanya Mahaprabhu and His associates engaged in the Yuga Dharma for Kali-yuga, the congregational chanting of the Holy Name of Lord Krsna. Hare Krsna Hare Krsna Krsna Krsna Hare Hare Hare Rama Hare Rama Rama Rama Hare Hare. Click on the link to find out more about Lord Caitanya. But where to get such a chart? I thought I could use examples from his astronomy texts but they may prove too abstruse for some. A more accessible example would be Bhaktisiddhanta’s commentary on Caitanya-bhagavata 1.3.10 wherein he discusses the horoscope of Sri Krsna Caitanya Mahaprabhu. Commentary [by Bhaktisiddhanta]: Sukra (Venus) was in Mesa-rasi (Aries), in the constellation of Asvini; Ketu (the ninth planet) was in Simha-rasi (Leo), in Uttaraphalguni; Candra (the moon) was in Simha-rasi, in Purvaphalguni (the eleventh lunar mansion); Sani (Saturn) was in Vrscika-rasi (Scorpio), in Jyestha; Brhaspati (Jupiter) was in Dhanu-rasi, in Purvasadha (Sagittarius); Mangala (Mars) was in Makara-rasi (Capricorn), in Sravana; Ravi (the sun) and Rahu were in Kumbha-rasi (Aquarius), in Purvabhadrapada; and Budha (Mercury) was in Mina-rasi (Pisces), in Uttarabhadrapada. The lagna was Simha. Mars, the owner of the ninth house, is exalted. Venus and Saturn are almost exalted. Jupiter, in his own house, aspects Venus, which occupies the house of dharma. Venus, the owner of the tenth house, is aspected by Jupiter and situated in the ninth house. 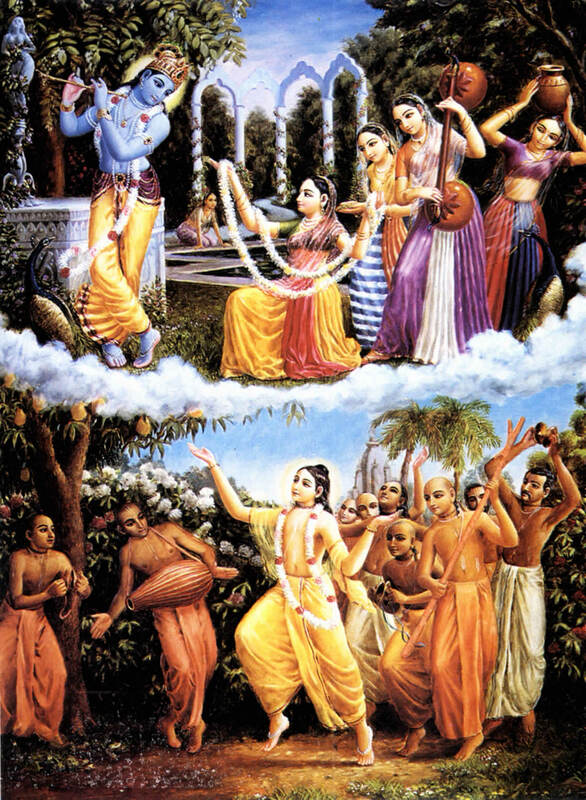 After scrutinizingly studying each of the Lord’s lagnas, Nilambara Cakravarti foretold the highest fruits and was struck with wonder by seeing the Lord’s beauty, because the Lord is the original Personality of Godhead. From this we can see by direct inspection that Bhaktisiddhanta has presented the nirayana – sidereal chart of Lord Caitanya with all the planets and lagna in sidereal signs. And the nakshatras are also in the sidereal rasis with Asvini in Aries and all the other nakshatras in their appropriate sidereal signs. This proves conclusively that Bhaktisiddhanta used the sidereal system for calculating horoscopes and not the tropical system that the purvapaksha claims he used. This also agrees with the definition given by the previous Jyotish Acaryas wherein they state that the first degree of Mesa (Aries) and of Asvini are the same. Whereas if Bhaktisiddhanta had used a tropical chart for Lord Caitanya the Lagna, Ketu and Moon would not be in Simha but Kanya (Virgo), Sani would not be in Vrschika (Scorpio) but Dhanus (Sagittarius), Jupiter would not be in Dhanus but Makara, and Sun and Rahu would not be in Kumbha but Mina. Only Mars, Mercury and Venus would be in the same signs. If one closely examines the positions given by Bhaktisiddhanta one will notice that the position of Ketu is not the same as seen in the chart. Bhaktisiddhanta gives Uttaraphalguni for Ketu whereas the chart I have given shows Purvaphalguni. How to account for this discrepancy? First we notice that Ketu is at 26°36′ Simha, and that Uttaraphalguni starts at 26°40′, thus it is very close and only 04′ arc to the starting point of the next nakshatra thus a slight variation in calculation would move Ketu into the next nakshatra. Variations of less than half a degree are well within norms especially considering the greater precision of present day software as compared to hand calculations. Another plausible explanation is that we are assuming that Lord Caitanya’s chart was calculated using the Citrapaksha ayanamsa when a different ayanamsa may have been used in which case Ketu moves into the next nakshatra. Here is the same chart using a variation on the Citrapaksha ayanamsa wherein Ketu moves into the next nakshatra. These are minor details and in any case it does not change the outcome. Bhaktisiddhanta clearly puts all the planets and lagna in the sidereal zodiac contrary to the claims of the purvapaksha that he used a tropical zodiac. Sure, Moon in Gemini – just like he said. But guess what… shhhhh… it’s tropical! If you calculate a sidereal chart for the birth data Bhaktivedanta Swami gives, you wouldn’t get the Moon into Gemini until close to 8pm that day! So guess what… this is also evidence that not only Bhaktisiddhanta Sarasvati and Sridhar Swami, but also Bhaktivedanta Swami all made use of the tropical zodiac. We reply that this is not evidence at all because Srila Prabhupada was not an astrologer or astronomer and never calculated a chart in his life so he didn’t make use of the tropical zodiac as the purvapaksha implies. The following is a section of a small book 7 I wrote in 1995 for the 1996 centennial of Srila Prabhupada’s appearance where this anomalous statement regarding moon in Mithuna is discussed threadbare. Nalini Kanta has stated (Nalini p. 1) that Prabhupada was mistaken about his birth time because in the letter cited above Prabhupada gives both his birth time and his Rasi (Moon Sign). 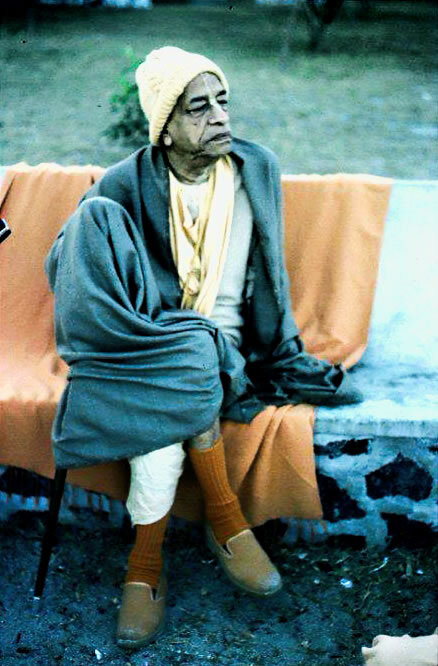 Prabhupada in the letter states his birth as about 4 PM and his Rasi as Mithuna (Gemini). However if you calculate the chart in reality his Rasi is Taurus. Thus, according to Nalini’s logic, since Srila Prabhupada didn’t know astrology and got his Rasi mixed up then it follows that he also got his birth time wrong. Thus Nalini Kanta feels that the actual birth time must be such that Sagittarius must be rising. We counter this by pointing out that people are more apt to know their time of birth than the disposition of the planets in their charts. If a mistake is to be made it would be with the planetary position not the time of birth. However we have a stronger argument which is derived from the research of the Vaisnava Calendar Committee. The degree of Srila Prabhupada’s Moon is 28TA05, very close to Gemini. At the time when Srila Prabhupada was born, and even today, in Bengal, astrologers used panjikas (ephemirides) made according to siddhantas like Surya-Siddhanta, Siddhanta-Siromani, etc. However these Bengali Pandits make their calculations without adding the necessary bija correction that would give planetary positions that agreed with observable reality. When Bhaktisiddhanta wrote his translation and commentary on Surya-Siddhanta he added a section on how to do bija corrections. Anyway this slack method of planetary calculation still goes on and it was documented by Markandeya Rsi Prabhu in his 1990 report to the Vaisnava Calendar Committee. The Moon’s position is often calculated so erroneously in Bengal that even for calendars calculated for Bengal the ekadasis are wrong a significant percentage of the time. That means that they are off by several degrees for the Moon. (This is one of the main reasons that we don’t rely on Bengali Panjikas for our Vaisnava Calendar.) In the example Markandeya Rsi gives on pages 52-53, he compares the endings of all the tithis (lunar days) from Aug 15th to September 14th 1989 as calculated by P.M. Bagchi and Lahiri. Bagchi is following the old, inaccurate style of calculating without correction for observable reality. Markendaya Rsi says: “The difference is, in the average, more than two hours . . .” Individual days could diverge by as much as 4.5 hours and that was only in a sample space of one month. Other months may be even worse. 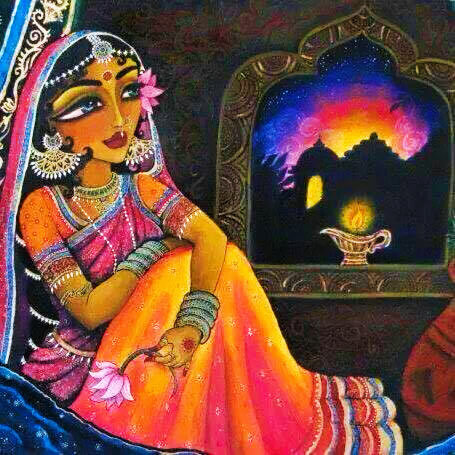 Considering that the Moon moves quickly, it is not difficult to see how, by using the old uncorrected method popular with most astrologers in Prabhupada’s day, that a 2 or 3 degree mistake in the position of the Moon could have easily occurred. 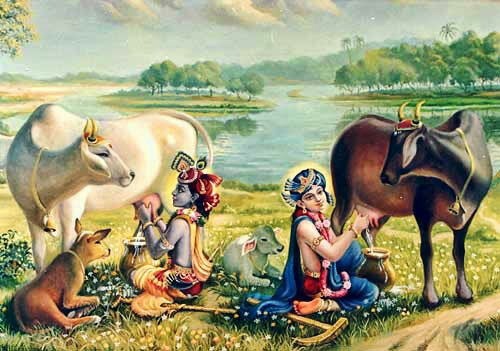 We now see how it is very possible for Srila Prabhupada to have been told by an old style astrologer, using an unpurified Siddhanta method, that Mithuna (Gemini) was Prabhupada’s Rasi as opposed to Taurus. A mistake of only two degrees would place Prabhupada’s Moon in Gemini. 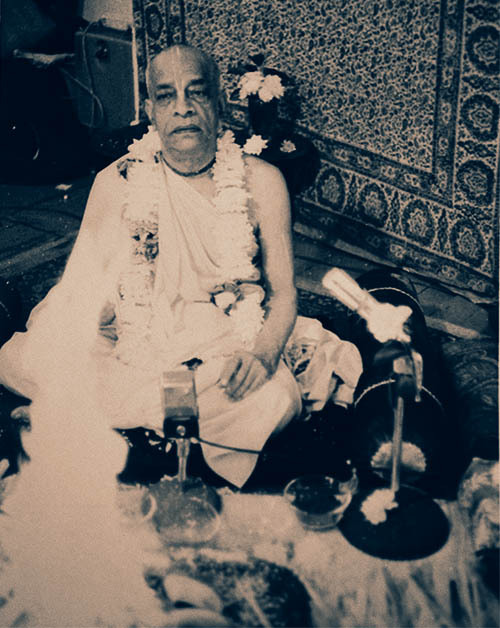 This disposes of the notion that Prabhupada didn’t know his own time of birth because the Rasi was different from modern up-to-date hi-tech computer calculations. The mistake was not with Prabhupada, but with the inaccurate methods of calculation employed for finding the position of the Moon. The point being that Mrgasirsa Nakshatra straddles both Taurus and Gemini, literally half in one and half in the other. In Bengal especially, all the planets, not just the Moon, are given in the chart with reference to the Nakshatra it resides in (see description of Lord Caitanya’s horoscope in CC Adi Lila). Also we see from Pradyumna’s statements (see transcript) that Srila Prabhupada would often be asked his Nakshatra when going into a temple. The reason is that when puja is done to the Deities on behalf of someone (Yajamana) the Pujaris request the Yajaman’s name, gotra and nakshatra and this is told to the Deities at the time of puja to indicate the identity of the sponsor. We may thus infer that because Mrgasirsa is actually in both signs that some confusion may have crept in (along with the possibility of inaccurate planetary calculation). So in one sense to say Moon is in Gemini is not exactly wrong because it is the Nakshatra position that is most important and Mrgasirsa is in both Taurus and Gemini. There is one obvious explanation for Prabhupada giving Mithuna Rasi – Gemini Moon sign that we have all over looked. It is very possible that whoever informed Srila Prabhupada that his Moon was in the sign of Gemini may have been using a different ayanamsa than that which Nalini Kanta and I use. We both use Lahiri’s ayanamsa (ayanamsa is the cumulative motion of the precession of the equinoxes to a given date). Devotees experienced in India know that there are varied opinions on practically every subject, this also holds true for ayanamsa. The most popular ayanamsa in India today is that of Lahiri but this is a recent phenomena of this century. Though Lahiri’s is the most popular today, still there are several competitors. Who knows what the situation was like back at the turn of the 20th century? 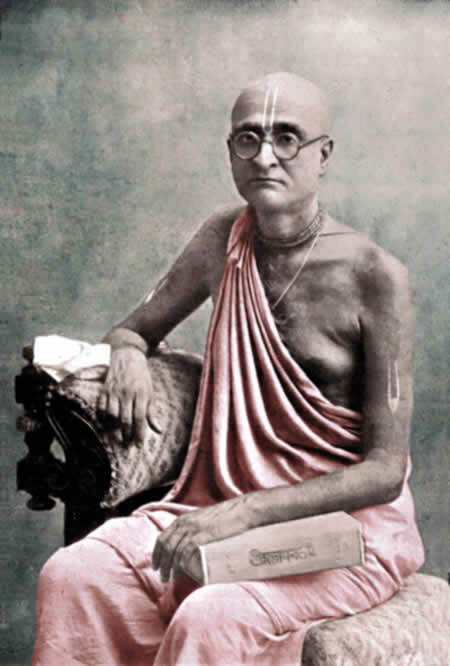 Pradyumna Prabhu once told me that he had come across a letter by Srila Bhaktisiddhanta which was sent out to learned pandits all over India inquiring from them which ayanamsa they used. Apparently the Thakura was trying to see if there was any consensus of opinion or may have been attempting to arrive at a correct ayanamsa after consulting others. (We do not know the results of the Thakura’s research but would be greatly interested to find out.) Considering that Srila Prabhupada’s Moon is less that two degrees away from Gemini by Lahiri’s ayanamsa it is quite possible that a poor calculation or different ayanamsa or some combination of both could easily put the Moon into the next sign. If the other astrologer was indeed using a different ayanamsa then there would be absolutely no mistake in Prabhupada saying his Moon was in Gemini. Here is an example of Prabhupada’s chart using a different ayanamsa. We note that Moon is now almost in Mithuna. It is plausible that a hand calculation mistake 8 or using a sarini text which was based on old siddhantas and not recalibrated or some combination could easily move the Moon into the next rasi, Mithuna. 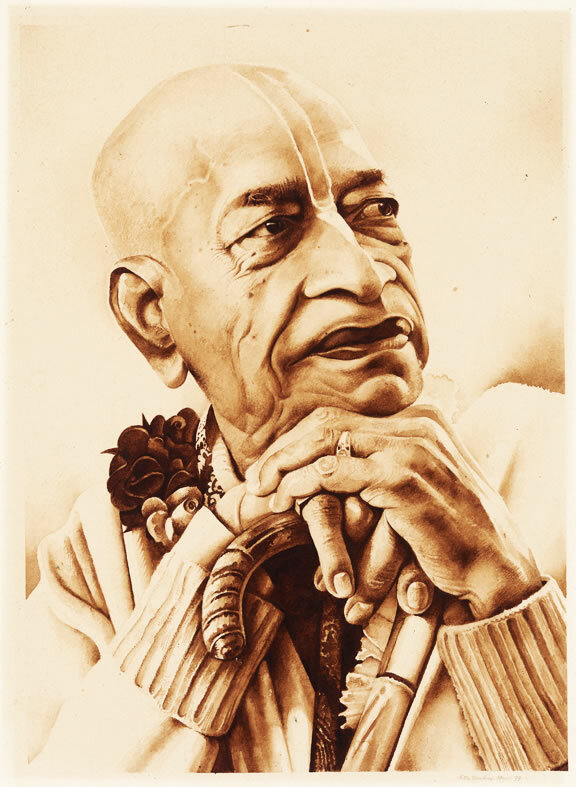 In his final months Srila Prabhupada had his chart calculated by several astrologers. They all used the sidereal zodiac. Of them all Srila Prabhupada praised Ojha’s reading as the most accurate. This immediately made Ojha a famous astrologer in ISKCON and the person you went to for a reading. For writing that small 100+ page book on Prabhupada’s transcendental horoscope I acquired xerox copies of the original charts from Tamal Krsna Gosvami. I do not know if the originals are still extant since his demise in 2002. Ojha calculated Srila Prabhupada’s horoscope on two occasions: Chart 1, and chart 2. We see that Ojha calculated a sidereal chart for Srila Prabhupada and Prabhupada approved Ojha as being the most accurate of all those who had recently read his chart. This again disposes of the silly notion that Prabhupada made use of a tropical zodiac because Prabhupada didn’t calculate this or any chart, he just accepted what Ojha calculated and said the reading based on it was accurate. To reiterate we have taken the trouble of scrutinizing the silly notions, actually wild claims, of the purvapaksha before they become widespread and accepted as truth by non-specialists in this field. We have shown that there are many plausible explanations regarding the placement of Rahu in Sridhara Swami’s chart. And by showing Lord Caitanya’s chart as published by Bhaktisiddhanta it proves that Bhaktisiddhanta used a sidereal not tropical zodiac. And that the purvapaksha’s attempt to make Srila Prabhupada a patron of the tropical zodiac also falls flat. And again we ask what kind of person makes such statements? What kind of person uses such lexical slight of hand to win an argument? What kind of person claims that Bhaktisiddhanta calculated a chart when in actuality he didn’t? Do we expect that the purvapaksha will change their opinions? No we don’t. But we didn’t write this for their benefit but for the edification of those honest people who have been confused because they are not conversant with the technicalities involved. Gosvami, Krsnadasa Kaviraja. Sri Caitanya Caritamrta (9 Volumes) (English and Bengali Edition). Translated by A. C. Bhaktivedanta Swami. Los Angeles: The Bhaktivedanta Book Trust, 2012. Prithuyasas. Horasara. Translated by R. Santhanam. New Delhi: Ranjan Publications, 1995. Sowell, Thomas. Basic Economics: A Common Sense Guide to the Economy. New York: Basic Books, 2010. Swami, Bhakti Vikasa. 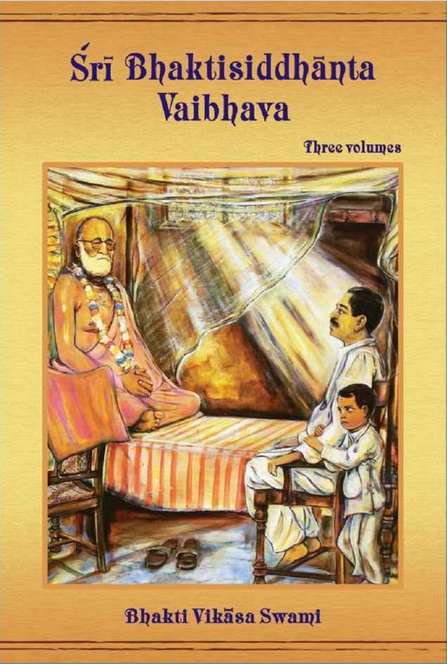 Sri Bhaktisiddhanta Vaibhava Vol 2. Vallabha Vidyanagar, Gujarat: Bhakti Vikas Trust, 2010. 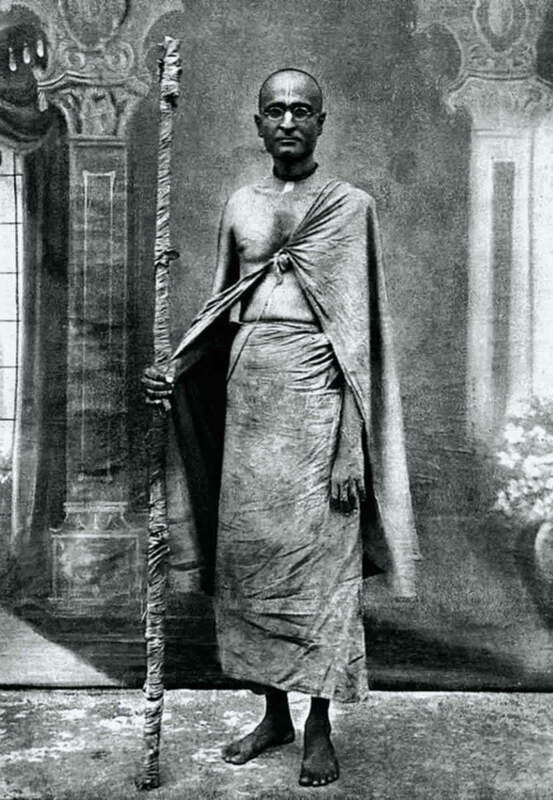 Thakura, Sri Vrindavana Dasa, Bhaktisiddhanta Sarasvati Thakura. Sri Caitanya Bhagavata 7 Volume Set. Translated by Bhumipati Dasa. Vrndavana: Ras Bihari Lal and Sons, 2001. His Holiness Sridhar Swami in his later years.